Kodi showing Emby Library movie content as music? 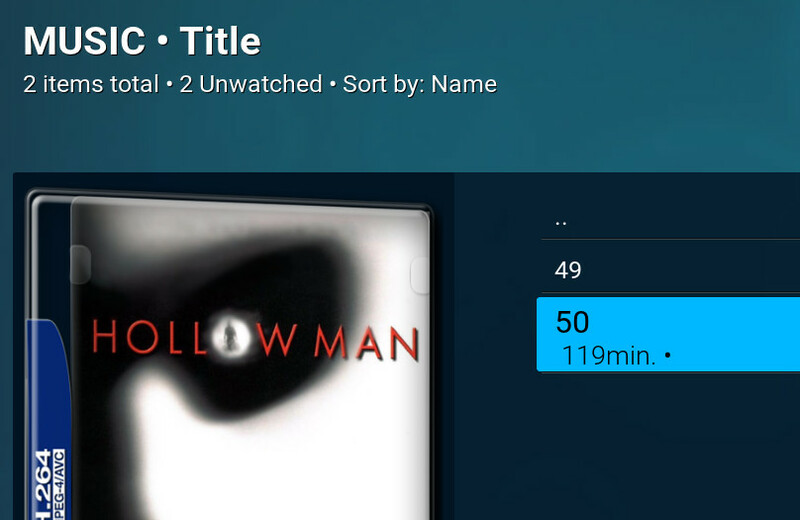 Short story: I made a test library with a couple movies in there, and made a link to it in Kodi, and it shows up, yea, but in multiple skins it shows up as music, and the movies aren't named correctly in Kodi, they show up as numbers (???). I opened Kodi, and having figured out the default Confluence skin doesn't support edits to the main items, I chose Titan skin, and went in and configured a new home menu item. 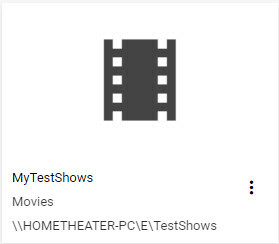 As I recall I configured the item to go to: \Add ons\Video Add ons\Emby\MyTestShows\ and then confirmed the main MyTestShows in the selector box that followed. I then backed out to the home screen. My Test Shows was there, and when I went into it, it had just the two movies, but they were called 49 and 50. ??? And they showed as type Music. I repeated the test in Aeon Nox (same results). I'm very confused. What am I doing wrong? Why is it not displaying the content name (movie name in the row instead of 49 or 50), and why does it think it is music? Check your action shortcut. Make sure it says ActivateWindow(10025,...) Not 10502. Edit: Or alternatively... ActivateWindow(Videos,...), not Music. Edited by Angelblue05, 20 December 2016 - 04:19 AM. Indeed it shows Music there. This may sound silly... but how do I edit this? I tried lots of clicks, right clicks etc.. without finding the secret sauce that would let me go in and edit the text on this line. Clicking tends to bring up directory selector boxes and the like. Thanks. I think I'm ALMOST getting the hang of this! After doing that and opening Kodi, I was rewarded with the filenames of the content as anticipated. Will play more, later this week. Not sure this particular skin is the one I want, but need to spend more time poking around. Has anyone created an "Emby Theater" Skin? However we no longer maintain it, you may like it though. Thank you! I will try it out today! What skin do you use now, if I may ask? Interestingly in the Titan settings.xml, I wasn't able to find the similar "music" string to change to "videos" to fix the problem in that skin. Maybe different settings format. I'm using a personal mod of the new estuary skin. Though I do plan to update it to the latest material design they added in the version 2 of the estuary skin. I noticed in the Eunique skin that the cursor doesn't show... makes it a bit hard for me to navigate. Is there a setting somewhere to show it? Kodi interfaces are designed to be used with a remote in general. Indeed. I am trying to think of a skin that exposes the cursor and the only ones I can think of are Kodi's defaults. I did find a work around though, by using the Smart Shortcuts in the Titan skin, instead of the Emby addon shortcut. All Movie names now show correctly. I'm running the Krypton beta and Titan Beta for Krypton.